Journal of Brain Behaviour and Cognitive Sciences is an Open Access, peer-reviewed, academic journal that provides a quality platform to publish the most complete and reliable source of information in the mode of original articles, review articles, case reports, short communications, etc. in all areas which are covered under the scope of the journal. Journal of Brain Behaviour and Cognitive Sciences stands among the best open access journals of scholarly publishing. High quality manuscript submissions are welcome from the authors to receive high impact factor and to maintain high standard of the journal. 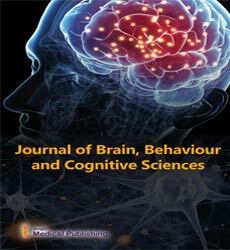 Journal of Brain Behaviour and Cognitive Sciences focuses on Artificial Intelligence, Behavioural and Clinical Neuroscience, Brain Mapping Unit, Cerebral Pharmacology, Cognitive Ageing, Cognitive Neuroimaging, Cognitive Psychology, Computational Modeling, Neuropharmacology, Neurophysiology, Neuroscience, Parkinson’s Disease, Alzheimer’s Disease and other areas justifying the title of the journal. Journal of Brain Behaviour and Cognitive Sciences is using Editorial Manager System for quality in peer review process. Review process is performed by the editorial board members of Journal of Brain Behaviour and Cognitive Sciences or outside experts. It’s a branch of neuroscience that emphases on the fundamental mechanisms underlying diseases and disorders of the brain and central nervous system (CNS). Clinical neuroscientists including psychiatrists, neurologists, clinical psychologists, and other medical specialists use basic research findings to develop new ways of diagnosing such disorders and ultimately of developing novel treatments to prevent neurological disorders. Brain mapping is a set of neuroscience techniques predicated on the mapping of (biological) quantities or properties onto spatial representations of the (human or non-human) brain resulting in maps. Brain mapping attempts to relate the brain's structure to its function, or finding what parts give us certain abilities. Neuropharmacology is the study of how drugs affect cellular function in the nervous system, and the neural mechanisms through which they influence behavior. There are two main branches of neuropharmacology namely behavioral and molecular neuropharmacology. Behavioral neuropharmacology focuses on the study of how drugs affect human behavior (neuropsychopharmacology), including the study of how drug dependence and addiction affect the human brain. Molecular neuropharmacology is focused on the molecular aspects of neuropharmacology, which mainly deals with the evaluation of the function of specific molecule on cellular homeostasis. Neuropharmacology, Clinical Neuropharmacology, Current Neuropharmacology, Neuropsychopharmacology, Neurotherapeutics, Progress in Neuro-Psychopharmacology and Biological Psychiatry, Journal of Psychopharmacology, International Journal of Neuropsychopharmacology, Neurochemistry & Neuropharmacology. Cognitive ageing is the decrease in cognitive function that occurs as people get older. Age-related impairments such as vocabulary are irrepressible to brain aging and may even improve with age. Other abilities, such as conceptual reasoning, memory, and processing speed, decline gradually over time. A more complete understanding of normal brain aging may shed light on abnormal brain processes. Neurobiology of Aging, Frontiers in Aging Neuroscience, International Journal of Alzheimer's disease, Age and Ageing, Psychology and Aging. Neuroimaging or brain imaging is the process of either directly or indirectly imaging the structure, function/pharmacology of the nervous system. It is relatively a new discipline within medicine, neuroscience, and psychology. Physicians who specialize in the performance and interpretation of neuroimaging by as magnetic resonance imaging or computerized tomography.in the clinical setting are neuroradiologists. NeuroImage, Journal of Neuroimaging, Journal of Neuroimaging in Psychiatry & Neurology, Trends in Neurosciences, Journal of Neurophysiology, NeuroImage: Clinical, Brain Imaging and Behavior. Cognitive psychology is the study of mental processes that focuses on the way people process information such as attention, language use, memory, perception, problem solving, creativity, and thinking. The modern study of cognition rests on the premise that, the brain can be understood as a complex computing system. Cognitive Psychology, Journal of Cognitive Psychology, Applied Cognitive Psychology, Trends in Cognitive Sciences, Social Cognitive and Affective Neuroscience, Neuropsychologia, Brain and Cognition, Cognitive Neuropsychology. Computational modeling is to study the mechanism and behavior of complex systems by computer simulation. It provides an instruction sequence in numerical values that characterize the system being studied. Computational modeling acquiring better capacity to describe biological systems and processes at a level useful for prediction and to suggest experiments, it will trigger a useful feed-forward process with experimental biologists. Journal of Computational Science, Computational Cognitive Science, PLoS Computational Biology, Computers and Operations Research, Journal of Computational Biology, Spatial Cognition and Computation, Journal of Theoretical and Computational Science. Neurophysiology is a subspecialty of physiology and neuroscience that focuses on functioning of the nervous system using electrophysiological recordings and molecular biological tools. Electrophysiological recordings are very helpful in the diagnosis of neurological diseases such as epilepsy or neuropathies. Journal of Neurophysiology, Clinical Neurophysiology, Journal of Neurology and Neurophysiology, Journal of Clinical Neurophysiology, Nature Reviews Neuroscience, Trends in Neurosciences, Journal of Neurophysiology, European Journal of Neuroscience, Biological Psychology. Neuroscience is the scientific study of the nervous system that deals with the anatomy, biochemistry, molecular biology, and physiology of neurons and neural circuits. It also draws upon fields including mathematics, pharmacology, physics, engineering, and psychology. Nature Reviews Neuroscience, Annual Review of Neuroscience, Nature Neuroscience, Trends in Neurosciences, Neuron, Journal of Neuroscience, Frontiers in Evolutionary Neuroscience, European Journal of Neuroscience, Frontiers in Systems Neuroscience, Frontiers in Neuroscience, BMC Neuroscience. Parkinson's disease (PD) is a chronic long-term neurodegenerative disorder mainly affects the motor system. In Parkinson’s disease, dopamine producing neurons from substantia nigra dies due to genetic or environmental effects and the resultant neuromuscular anolamies appears which mainly includes rigidity, tremors, and changes in speech and gait. After diagnosis, treatments can help relieve symptoms, but there is no cure. Parkinsonism & Related Disorders, Parkinson's Disease, Journal of Parkinson's Disease, Advances in Parkinson's Disease, Parkinson's disease: clinical features and diagnosis, Journal of Alzheimer’s Disease and Parkinsonism, Neurodegenerative Diseases. Alzheimer's a progressive neurodegenerative disease and the most common form of dementia mainly affects multiple brain functions. Alzheimer's disease accounts for 60 to 80 percent of dementia cases. Symptoms of Alzheimer’s develop gradually and become more severe over the course of several years. Journal of Alzheimer's Disease, Alzheimer Disease & Associated Disorders, Journal of Alzheimer’s Disease and Parkinsonism, Alzheimer's & Dementia, American Journal of Alzheimer's Disease & Other Dementias, International Journal of Alzheimer's Disease, Advances in Alzheimer's Disease. Artificial Intelligence The specialized field of computational studies that involves in the processing and synthesis of various analytical and logical solutions with the effective contribution from the system itself, which is similar to the human intelligence-is termed as ‘Artificial Intelligence’. Artificial Intelligence allowed to reproduce intelligent behaviors only in the defined ways, but it was a good starting point to the next research on construction of intelligent systems. “Computational modelling in cognitive science and artificial intelligence has profoundly affected how human cognition is viewed and studied”. Artificial Intelligence, Journal of Artificial Intelligence Research, Applied Artificial Intelligence, Cognitive Science, Topics in Cognitive Science, International Journal of Artificial Intelligence.